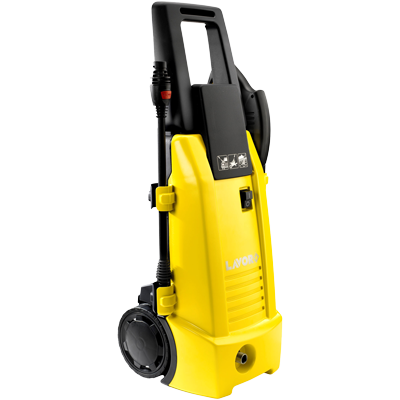 The NINJA130Plus high pressure cleaner is a light duty, Domestic grade cold water machine for home use. 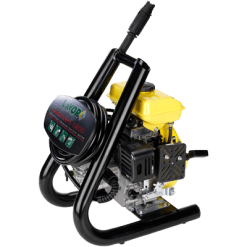 The machine has a 1.8KW universal 240V electric brush motor that offers a good flow rate of 7LPM at a maximum pump pressure of 1885PSI. 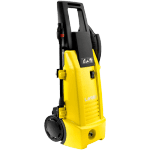 The carbon brush universal motor is fitted with a thermal overload which protects the motor from damage. This is a safeguard when used for longer periods in excess of suggested continuous use periods. 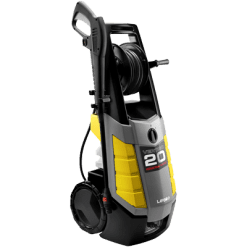 This machine with its carbon brush universal motor, and weighing less than 9 Kg, offers the home user gear portability. This also allows the ease of getting the unit up steps to clean those difficult to access areas. 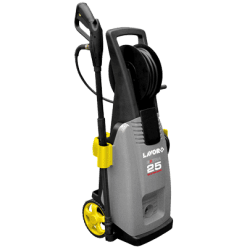 The Patio Cleaner accessory ensures the regular cleaning and maintenance of decking or veranda areas becomes a breeze.